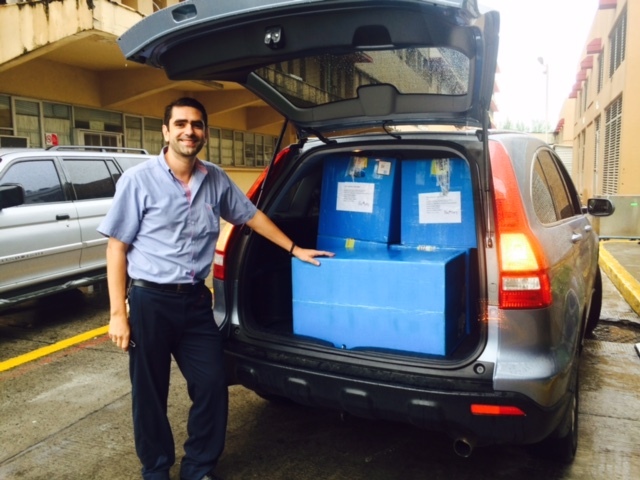 This morning we received word that our implant shipment has arrived to the hospital in Veracruz, Mexico! The picture below is Omar Chantiri who has been most helpful! Mary Betty, Carlos, Donna, and Omar with the implants! Update number two from Veracruz. Walk with Dr. Christie! We have an update from the Preoperative Medicine Clinic Team from Veracruz, Mexico TODAY! Please see Dr. Christie's blog under "Walk with Dr. Christie"! August Update from Mary Betty! Exciting News as of this morning! A process has been developed to allow the implants to be shipped by air from PROJECT CURE to Omar Chantiri – Attorney in Veracruz – for the OCTOBER SURGERY MISSION TRIP and then the unused implants returned back to the US as stipulated in our grant. Beth Conley, from Curando Mexico and Project Cure, is submitting all required forms for Customs. Omar and Beth have worked tirelessly searching for ways to accomplish the implant return issues. At this time, Beth and Omar are preparing the necessary contract with PROJET CURE and the Beneficencia publica de Veracruz, which receives the items and hopefully this will be completed today or Monday. We do not have the exact date the implants are to be shipped but that is coming soon! o the new hospital Director – Dr. Hugo Zarate on WSF’s behalf even though he was still assigned to an outlying hospital until last week. o the new Minister of Health and his associates in Xalapa. o our attorney Omar Chantiri and his associate that is an import/export attorney. o a trip was made to Mexico City to discuss importation of implants through customs. o other rotary clubs and local Walk Strong supporters. · Dr. Francisco (Paco) Vidal is now the Chief of Orthopaedics. Dr. Vidal is a brother to Dr. Elana Vidal, Anesthesiologist. Both are major supporters of Walk Strong doing whatever is needed to help on all fronts. Dr Saenz has retired due to health issues. · EXACTECH has once again given to Project Cure a grant for implants for 25 patients. Their current protocol is: they loan a set of implants to cover the cases and the extras that are not used must be returned to the company. Our attorney and customs brokers are working to establish a new process for returning these unused implants. A new law may have to be written, but they are hopeful that a solution has been found! The patients in Veracruz are all doing well and are so grateful to Exactech and Project Cure! o One trip to Mexico City to meet with Customs/SAT with Beth Conley and Arturo. 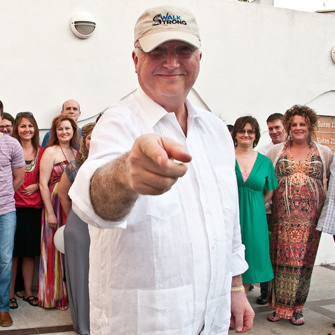 o One trip to Veracruz to meet with Hospital Director and staff to discuss Project Cure and Walk Strong Foundation. Dr. Amador gave him an updated Tour of facility. April and May were big months for the Walk Strong Foundation! We said goodbye Dr. Octavio Amador, were the charity night at the Nashville Sounds baseball game, and held our 3rd Annual Walk Strong Charity Shoot! Dr. Octavio Amador completed a yearlong fellowship in Nashville with the Southern Joint Replacement Institute surgeons. He recently returned back to Veracruz, Mexico to continue building the joint replacement program at Hospital Regional de Veracruz. He is a valuable member of our team and has made a trip to Mexico City within the last week to meet with officials regarding the permit for the hospital to receive donations. Once the permit is in place the Walk Strong team will be able to return to Mexico for surgical trips. Walk Strong was the Charity of the Night for the Nashville Sounds baseball team in the brand new First Tennessee Ball Park. We had a large turnout of Walk Strong supporters to cheer on the Sounds despite the lingering rain and clouds. Throughout the night we were able to reach out to a number of fans and spread the word about Walk Strong and our mission! In May we held our 3rd Annual Walk Strong Charity Shoot at the Nashville Gun Club. This event is a fun and active fundraiser for Walk Strong. The turnout of participants and volunteers was remarkable and a good time was had by all! Walk Strong supporters and volunteers look forward to this fun filled event each year. The shoot is repeatedly the largest yearly fundraiser Walk Strong puts on. Thank you to all who make this event possible and profitable! More to come this fall! We are hopeful for a clinic trip, tentatively planned for the beginning of fall, with a surgical trip to follow in late October. Both trips are pending permit approval, to allow Hospital Regional de Veracruz to accept donations, and implant importation approval for the prosthesis that will be used for our patients. to the people of Veracruz. our patients and their families. 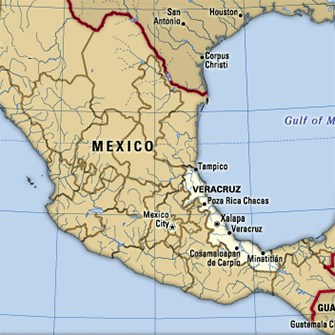 Learn more about the city and the dedicated clinicians in Veracruz.